Every archer needs an arm guard to protect their arm from the snap of their bow string. Made of supple 5/6 ounce leather that is very comfortable to wear, the Essential Archers Arm Guard has an additional layer of leather stitched to the front for heightened safety. 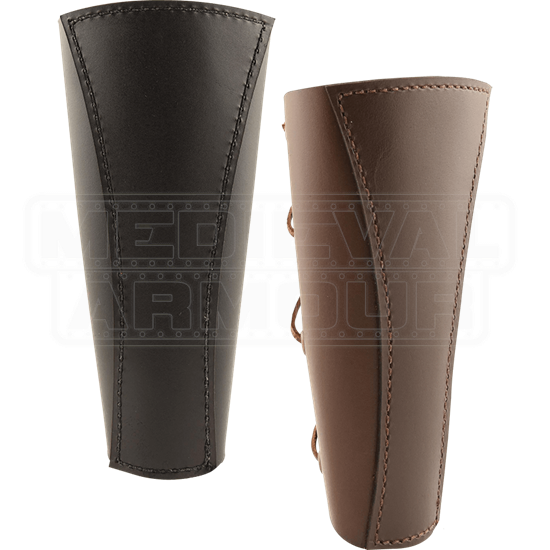 This handcrafted leather arm guard is available in solid black, solid brown, black with a brown accent layer, and brown with a black accent layer. Leather lacing in the color that corresponds to the base color of the bracer secures it to the arm and can be adjusted for best fit, laced through antique brass grommets. 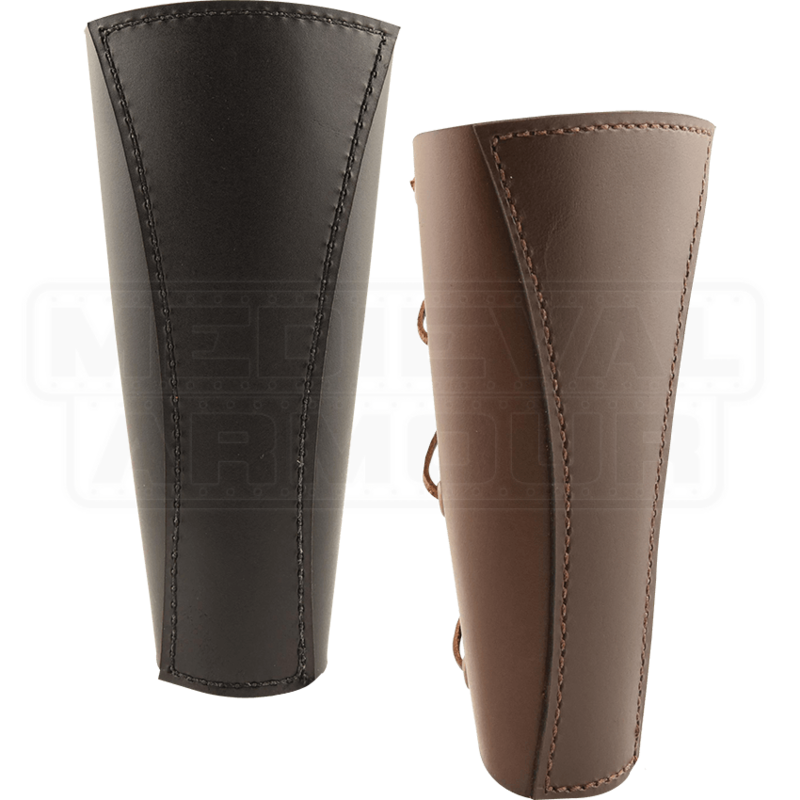 Ideal for all kinds of archers, this leather arm guard is sold as an individual piece.